Like many animal lovers, my first reaction was outrage at the senseless death of Cecil the lion by Walter Palmer. I let my first draft post that reflected my outrage subside into thought – I just couldn’t understand why a successful American dentist would feel the need to take the life of a beautiful African creature. Then I learned that he has done it many times in the past and that big-game hunting has supported the imperiled species to be taken to the brink of extinction, where the lion population has decreased from over 100,000 in the early 1990s to between 15,000-47,000 currently (ref: Wikipedia). The justification is that “trophy hunting” is a smaller factor than poaching. To me that is a specious argument, since it exacerbates the rapid decline of these magnificent creatures. Paying $50,000 to slaughter, behead, and skin a lion is unfathomable and should be condemned. Our society has moved beyond this! We should not tolerate this. 2000 years ago, hunting and killing humans was considered acceptable. Army’s would plunder captured villages, beheading humans and displaying their heads on spikes or hanging them from walls. As our society matured and became more civilized, this was condemned and is considered abhorrent. ISIS still maintains this practice in their conquered territory – they considered conquered people trophies and not deserving of any compassion. Are big-game trophy hunters, like Walter Palmer, very different from them? Future generations of humanity will look back on the barbaric practice of trophy hunting with disgust, just as we should now. 1) Clearly, the first step if for all civilized countries (led by the US) should put in place a permanent ban on Trophy Hunting; no part of a threatened or endangered species should be allowed to be brought back into the US or any other country. 2) Social pressure, like that shown to Walter Palmer, must be ferocious. We should shun anyone who does Trophy Hunting. Peer pressure should be massive. They should understand that this is as unacceptable as being taken to a remote location to hunt a human. 3) Economic stick. The countries that allow Trophy Hunting should face economic sanctions if they continue to do so. These include not just Zimbabwe, but also South Africa, Namibia, etc. 4) Economic carrot. We need to support non-destructive ways to preserve wildlife and their environments in the affected countries. I am a photographer and love photographing animals in their natural habitat. Photo trips like these are expensive and support the local economy. I also contribute to wildlife conservation. As a society, we need to make sure that preserving these natural habitats and their wild inhabitants is a high priority. My first photo book, Pantanal Magic, is now available for pre-order. Cost will be $100 per book and 100% of the proceeds will go the Seattle Humane Society (www.SeattleHumane.org) and Washington State University College of Veterinary Medicine (http://www.vetmed.wsu.edu/). To see a preview of the book, go to www.rosen-photo.com and click on the Pantanal Magic Book link. Hope you enjoy. I don’t usually do personal stuff on my blog. 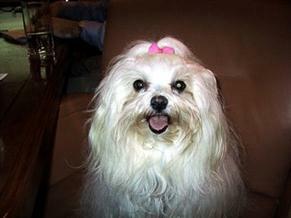 However, so many of my colleagues knew my little dog, Shugie; I felt I needed to let them know of her passing. She died last Tuesday (3/12), after a brief battle with pulmonary hypertension. Shugie lived a charmed life and was just shy of 16. She was well loved and loved me and all of her friends. Her smile brought joy to everyone. Shugie was a remarkable creature. Tiny in size, but huge in spirit. Her absolute favorite thing in the entire world was to go to business meetings, which she did from the time she was a tiny puppy. This picture was taken at a meeting. She understood (sometimes better than I did) how to behave at a meeting. She would greet each person, ask me to pick her up, and then sit in her seat looking at each person as they spoke.